If you are charged with a criminal offence, it will be dealt with either in the local court by a magistrate or in a higher court by a judge-alone or a judge and jury. More minor offences are generally dealt with by a magistrate, while serious charges will be heard in a higher court. 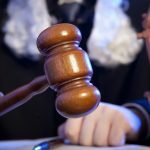 There are a number of offences where the prosecution and/or the defendant can opt to have the matter dealt with either by a magistrate or by a jury – these are called ‘table offences’. 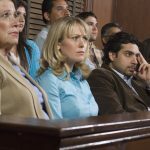 Having a trial by jury means going to a higher court, and in some cases facing a higher possible penalty, but depending on your situation there can be some advantages of a jury trial. The chance to have a decision made by a number of people rather than one single person, which can reduce the likelihood of bias against you or your circumstances. The opportunity to be tried by your peers, who may be more likely to relate to your personal situation than a judge or magistrate. A jury trial is a more complex process than being tried by a magistrate in a local court. If you are unsure whether a jury trial would be best for you, it is important to speak to a criminal defence lawyer. A jury trial can lead to a worse outcome for certain types of offences, and it does not always lead to a more fair trial, as juries can make decisions based on emotion rather than legal facts. What will happen if I have a trial by jury? A trial by jury takes place in the district or supreme court. If you choose to plead guilty to an offence, the matter won’t need to be dealt with by a jury, but if you decide to defend the charges you face, then a jury will be selected. Jury selection is done by ballot, and each member will be drawn out at random and sworn in. If either your defence lawyer or the prosecution object to a specific person serving on the jury, they are allowed to ‘challenge’ them and have them removed. Each side is allowed up to three challenges. Once 12 jury members have been selected and sworn in, the trial can start. 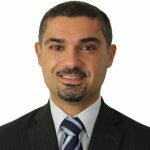 After all the evidence has been heard and the witnesses have given their statements, the defence and prosecution can both address the jury directly. After this, the judge will sum up the details of the case to the jury members and give them directions and they will go to a separate room to make their decision. After the jury has made its decision, the jury members return to the courtroom and inform the judge whether they have decided the defendant is guilty or not guilty. If a not guilty verdict is entered, then the defendant is acquitted and can go free. If a guilty verdict is entered, then the judge usually adjourn the case for a sentencing date when the penalty is decided. If the jury can’t decide or can’t agree, then there is a hung jury and another trial may be set for a later date with a different jury. 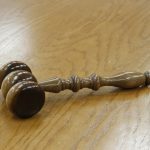 There are a number of advantages of a jury trial, particularly if you are facing charges of a complex nature, or have reason to believe that a judge or magistrate alone won’t be able to give you a fair trial. Jury trials aren’t the best course of action for every situation, however, so before you decide to choose a trial by jury make sure you speak to a defence lawyer to be sure that a jury trial is going to give you the best possible outcome.